We are all made of Stardust. Gift the Star in your life. Humans have been gazing up at the night’s sky for millennia in wonder and awe. Always a step or two away from an event that could drastically change their life, they sought guidance from those unmoving heavenly bodies, certain that their otherworldly powers could affect our lives in a profound way. To this day some of us still hold true to such beliefs and wear zodiac sign jewelry to proclaim our individuality. 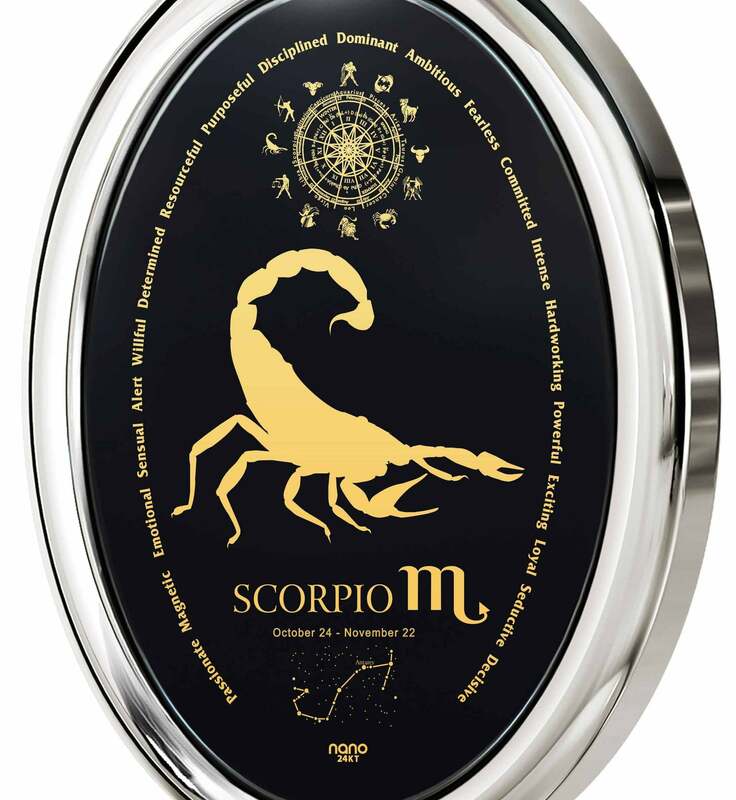 Whether you happen to believe in the power of the stars to determine one’s fate or just find he whole thing amusing, the zodiac has become a subtle part of our culture. How many times have you heard someone say, “Oh, you’re such a Libra!” or a variation on that to explain the way someone is behaving? 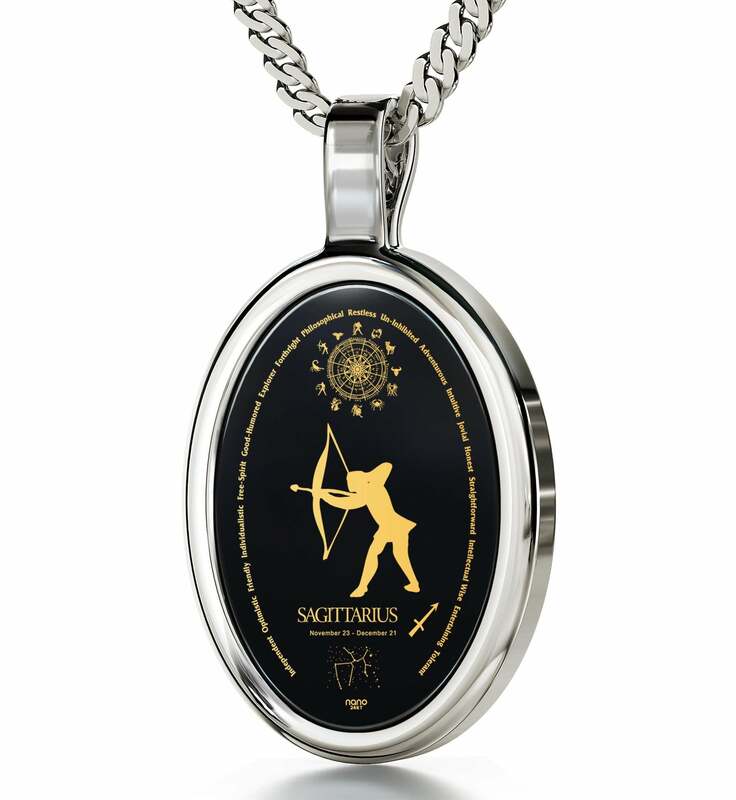 It’s certainly a different way of looking at things, and Nano Jewelry has a plethora of top gift ideas for women and men who embrace their forecast and wear their star sign with pride! 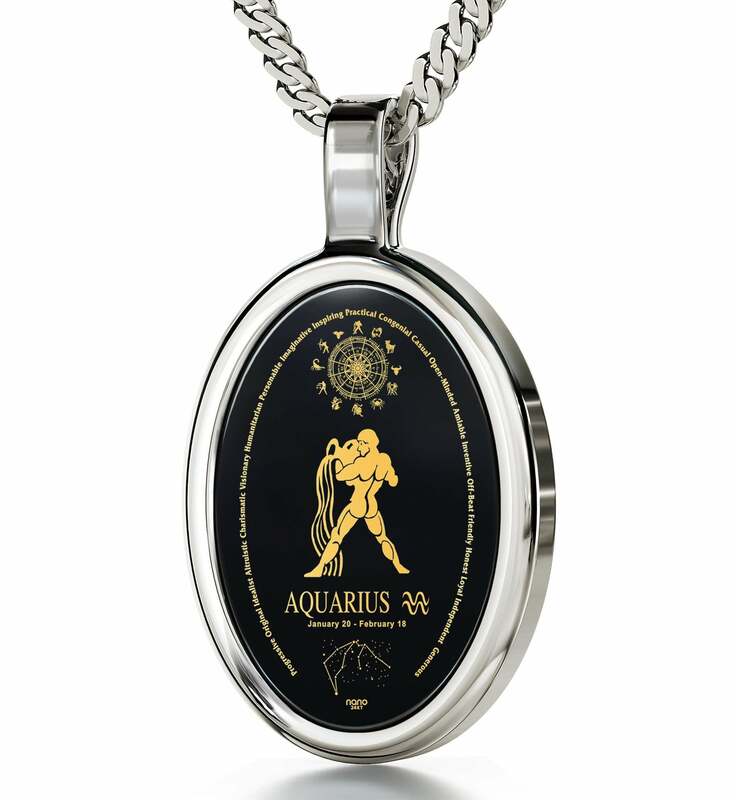 From lovely Aquarius necklaces imprinted with an image of a golden water bearer all the way to magnificent Capricorn jewelry decorated with the head of a proud ram, every star sign’s likeness, individual symbol and other interesting info has been skillfully designed and made real with pristine 24 karat gold. The details each one exhibits are extraordinary, and the person who will receive such a cool present will have a whole world of meaning to discover in their golden realm. The most intricate of our zodiac necklaces are beautiful accessories that will look stunning when worn by men and as well as women. Take this Taurus necklace as a great example – a stylish Figaro chain holds up the necklace’s flawless frame of 14 karat gold. Within lies an onyx stone that serves as the perfect backdrop for the necklace’s refined inscription. The oval shape is just right for displaying a lot of cool facts about the sign without things seeming cluttered or out of place. 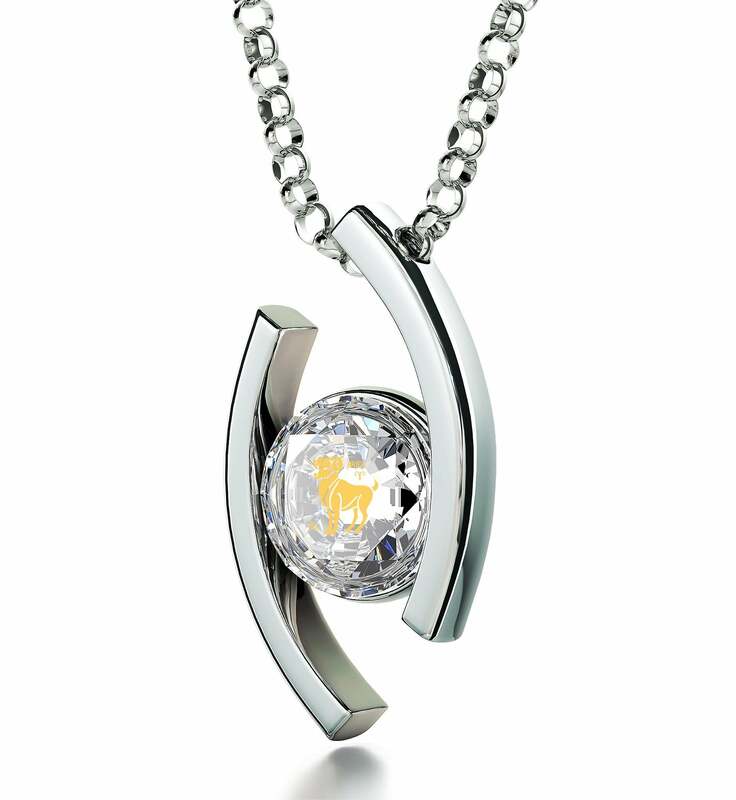 Just by looking at the Taurus jewelry both of you will discover much about the sign you never knew before. 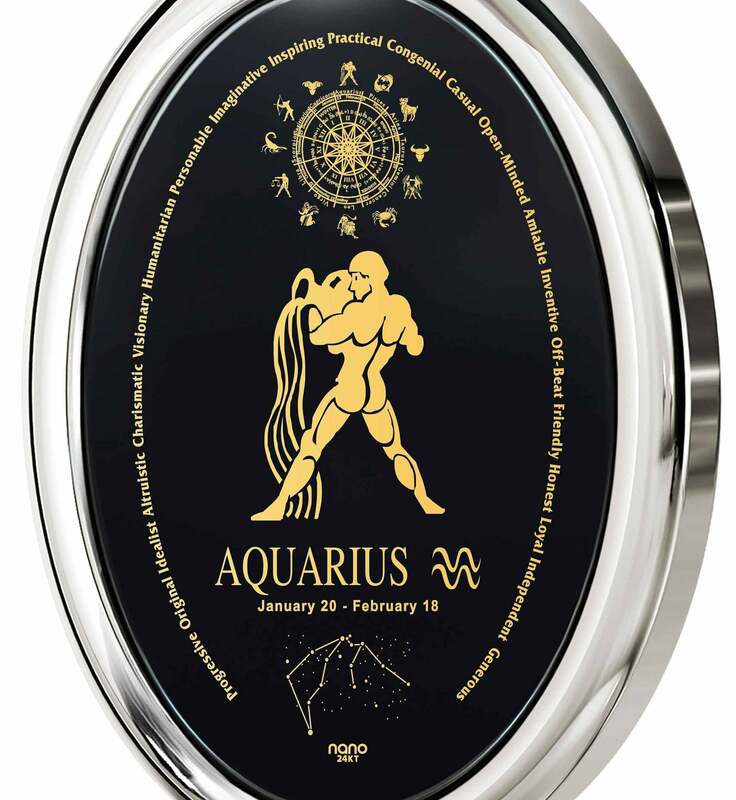 There’s the Taurus constellation set onto a backdrop of tiny golden stars and highlighted with golden lines, a set of the sign’s major traits which borders the rest of the scene, and there are other, more well-known tidbits like the Taurus symbol and dates of birth. 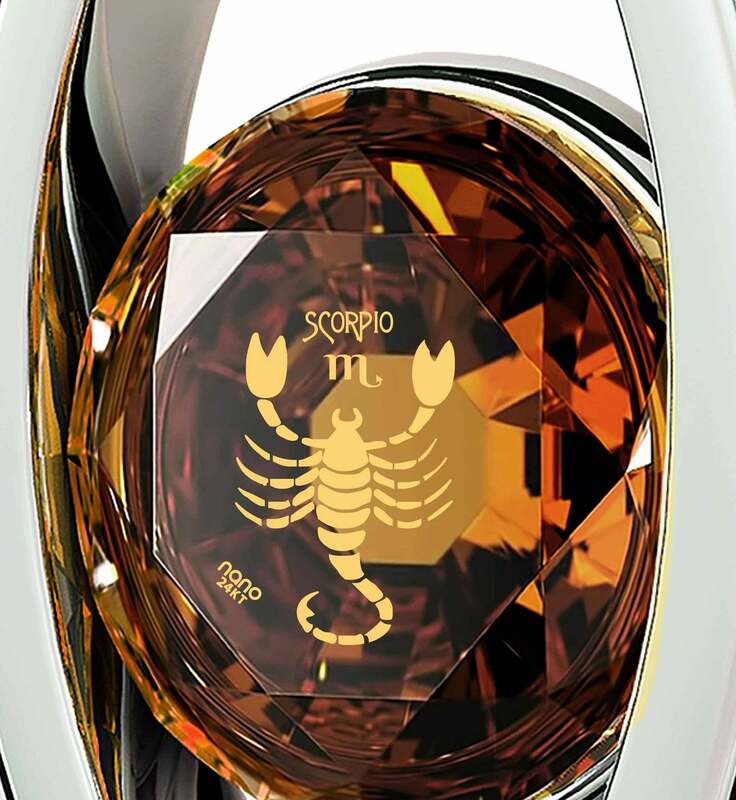 An image associated with the star sign always takes up the most prominent spot at the center of the gemstone, with a miniature of the whole zodiac above. You can be sure that this is a great gift for him or her that’ll cause quite a stir the first time they put it on. 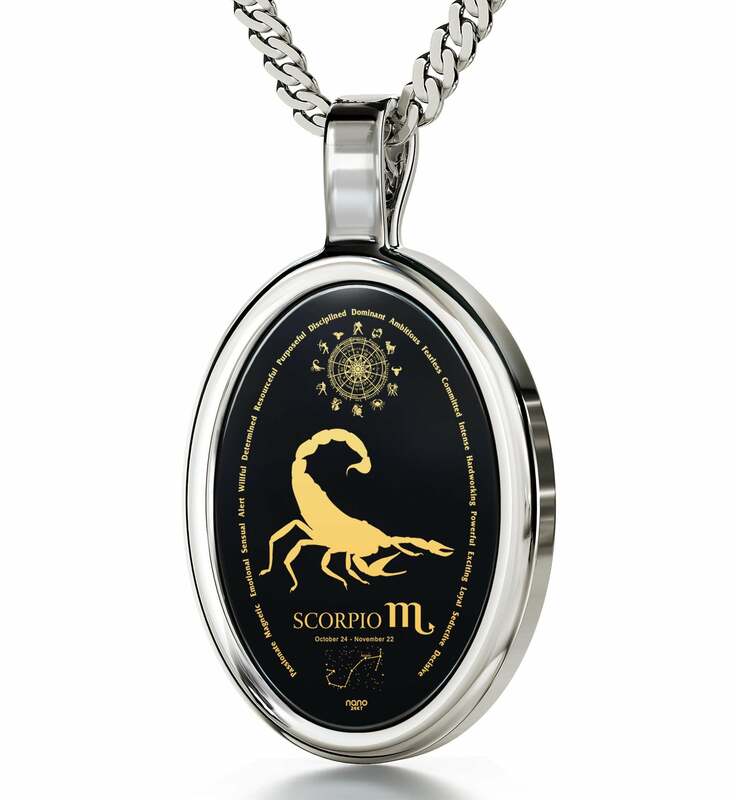 If you’d like to keep the brilliant image of each star sign, but want the necklace itself to be a bit more extravagant, there are three different models you can gift your sweetheart with. The first one has the makings of one of the most luxurious birthday gifts for wife anyone has ever surprised her with. 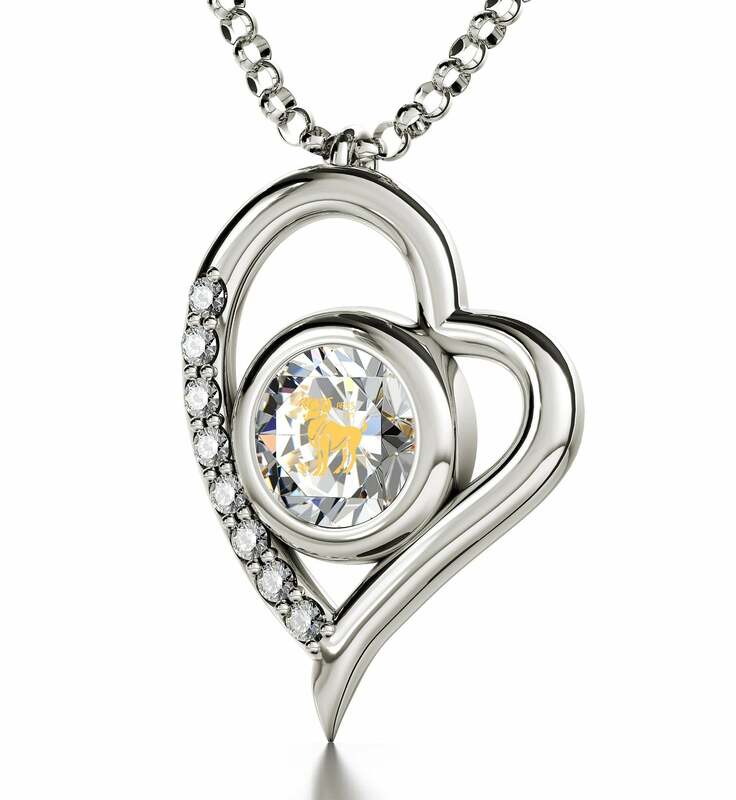 The eight sparkling diamonds adorning its frame of white gold have a lot to do with this, but so does the imprint of her zodiac sign as well as its symbol found on the faceted Swarovski gemstone the frame keeps safe. The second one is a girlfriend birthday idea she’ll be talking about right up until next year’s birthday comes along! 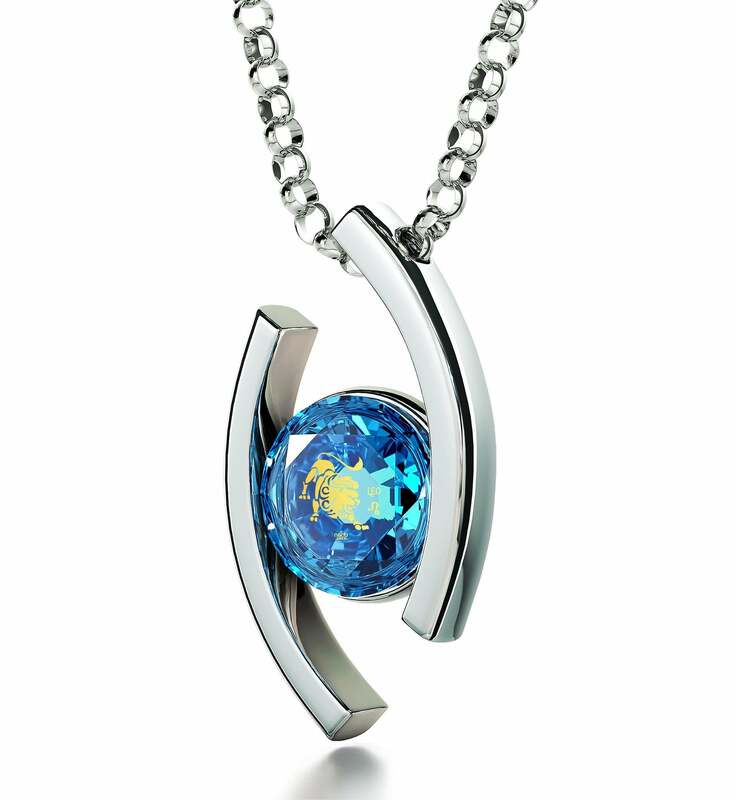 You can select one of six different colors for the Swarovski stone bearing her star sign. Hugged tight by an intriguing gilded solitaire frame, it invites one to spend a few precious moments transfixed by its imprint. You might find that this cute gift for girlfriend would be perfect if its frame and chain were made from silver, and that choice is possible too. Lastly, as a less traditional but very romantic birthday idea for her, we have a special, unique necklace. This time the same can be said for its frame as well as the inscription it bears because of the frame’s unusual shape. Resembling an eye which stares right back at anyone intrigued by its stylish appearance, its pupil not only reveals what star sign she is, but makes one want to get to know the person wearing such an unusual piece of jewelry better. With vibrant shades like garnet or turquoise to color its “iris” with, you can really make the top gift idea for women her own. 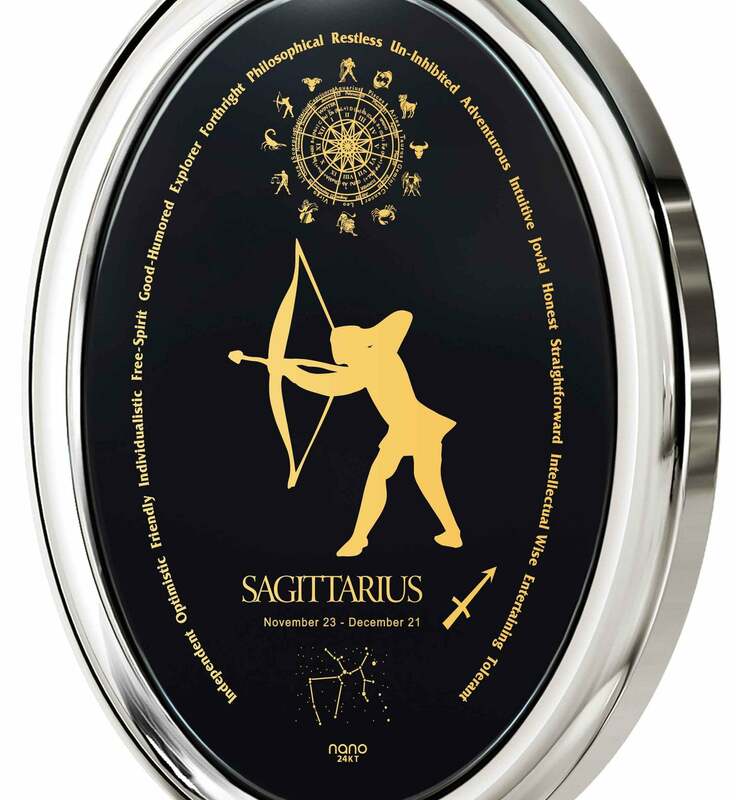 With every sign being accounted for and presented with such diversity, tracking down the ideal wife birthday idea for an adventurous and free-spirited Sagittarius or a practical Virgo won’t be a problem. 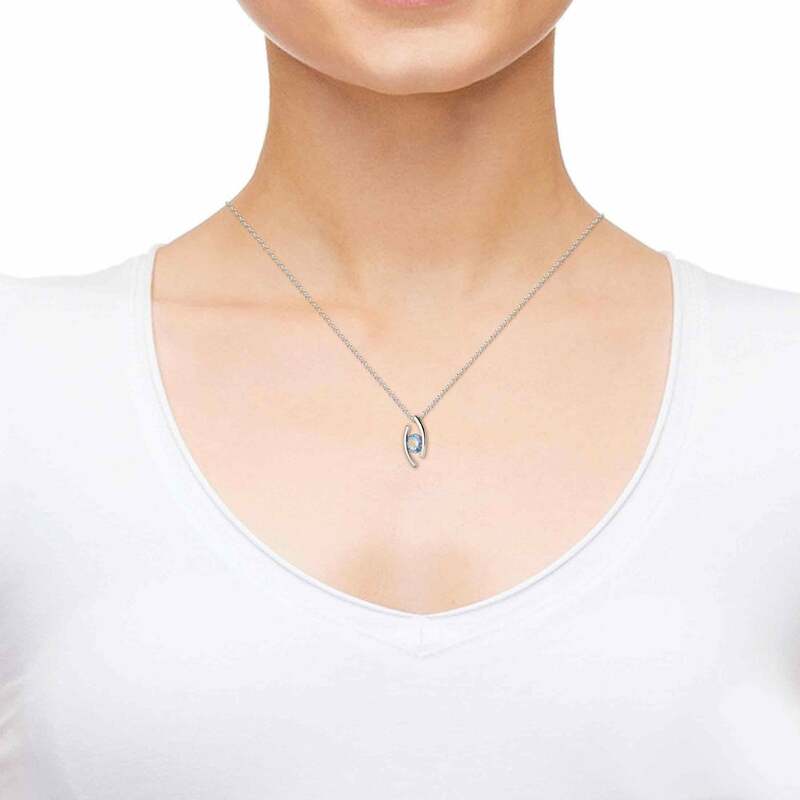 The cute necklaces are a great addition to her ensemble for a night out on the town and can personalize her wardrobe in a casual work environment. The best wife gifts make her more attractive not just on the outside, and as a special token which reveals a little bit about her personality without spoiling too much, each is a fantastic choice. Leave nothing to chance and secure an offbeat gift for young women (or men) which inspires them to become the best version of themselves they can be. Who knows, with the added confidence boost, maybe the stars will give them a push in the right direction, so why don’t you go ahead and help them find out? In any case, they’ll have a new beautiful necklace to show off.